We supply a variety of tyres between 15 and 22 inches in size at competitive prices to our network of trusted partners across the UK. To ensure the highest safety and quality standards, all tyres are pressure tested and come with a minimum tread depth of 4mm. Supplied in minimum quantities of 200, our tyres are sourced from the best UK and European suppliers. We seek to create and develop valuable and trusted relationships with companies that are serious about providing high quality, safe tyres. 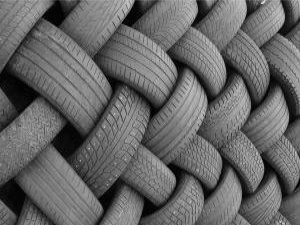 We are able to supply Luton loads of 650 tyres and containers of 1,500 tyres. Prices start at £4k and £10k respectively and are dependant upon the exact number of tyres supplied and the grade required. All agreed prices include delivery of hand-picked tyres selected according to the grade requested by a single grader for each load ensuring a consistent level of quality. Deliveries are accompanied by a checker who will conclude the final part of the transaction. Orders will have as many pairs as possible and all orders will have fewer winter tyres out of season e.g. 70/30 summer to winter and 50/50 or more if requested during the winter season.